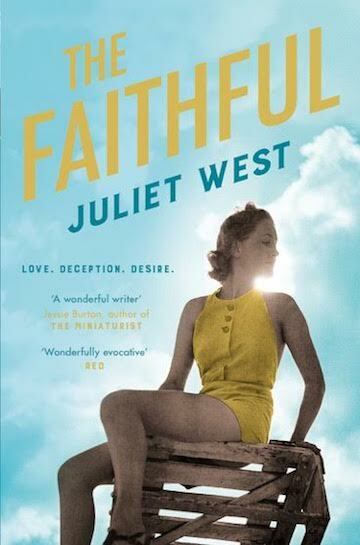 Juliet West is the author of Before the Fall and The Faithful; the latter has been picked as a top summer read in Prima, Red and Good Housekeeping magazines and is out in paperback on 26 July 2018. Helping my little brother to walk down the stairs. I might have been a teensy bit jealous that he was getting all the praise for being able to walk, when I was a proper toddler and way better at walking than he was! Aside from my family, Bendicks Bittermints. Pipes cracking, teenagers clattering, unlatched gates banging, birds singing . . .
Urgh, horrible question! I’m diplomatic, but I’m determined. Can I go with Thomas Cromwell, as imagined by Hilary Mantel? The surgeon who operated on my dad’s brain haemorrhage and saved his life. Dad will be 80 this year, and has made a full recovery. Oh, also the surgeon (Ms Skull!) who removed my daughter’s ruptured appendix. I guess what I’m saying is – it’s a thing, not a person, I most admire: the NHS. As a child I loved reading but I didn’t dream of becoming a writer; I thought I would like to work with children as a nanny or nursery nurse. However I do remember the moment I spotted a spelling mistake in an Enid Blyton book (aged about eight or nine? ), and it was such a massive thrill. I thought then that perhaps I could be the person who spotted spelling mistakes in books. I worked in a rest home as a teenager, in various roles including kitchen assistant, cleaner and care assistant. I actually really loved the job except for one element – cleaning out the commodes. It was better when I learned the importance of keeping the tap to a trickle. Slow tap = no splashback. Three human babies, two book babies. I always said I wanted five children. Where is your favourite historical place? I live quite close to Petworth House and that’s a wonderful place to visit. The recent Blake exhibition was excellent, and I particularly loved learning about Elizabeth Ilive, who was one of Blake’s patrons. Elizabeth came from very humble beginnings, but by her late teens she was mistress of the Earl of Egremont, and unofficial chatelaine of Petworth House. The earl eventually married her in 1801. Elizabeth was a painter herself and also a scientist and inventor, writing an impressive study on – of all things – potatoes. Someone needs to write a novel about this quirky woman! A bat. I can’t bear bright lights and I have very sensitive hearing. My husband thinks I’m a secret vampire. Lashings of butter on two slices of toast. I have that every morning (and to be honest I don’t really feel guilty about it). I wish I hadn’t hit a deer when I was driving home late one night from a book club meeting. I felt wretched for the deer, and I’m now really nervous driving at night because I always think another deer is going to run out at me (which has happened twice since, but luckily no collision). Tap dancing. I think I can do it when I’ve had a few drinks. I was going to say Alison Steadman but I’ve just found out she’s 72. So I’ll go with Olivia Coleman. Or the mum from Outnumbered, Claire Skinner. My kids seem to think I’m like her. I would go to Petworth House in the 1790s to spend a few days with Elizabeth Ilive. Then I would come home to 2018 and write that novel. In bed with my current read (it’s an advance copy of Ann Weisgarber’s third novel, The Glovemaker, and it’s completely spellbinding). I’m not religious, but I do treasure a little charm that was given to me by a Buddhist in Battersea Park back in the mid-90s. Which musicians are currently on your playlist? ‘Playlist’? I don’t listen to music on my phone or anything, but a random search of CDs in my car reveals Billy Bragg, PJ Harvey, The Streets and The Armed Man by Karl Jenkins. Helen Dunmore, Richard Yates, Sarah Waters, Alison MacLeod, Arundhati Roy, Zoe Heller, Helen Simpson, Colm Toibin . . . there are so many writers I admire. Please don’t make me choose! The ability to remain calm while taking my learner-driver daughter out for a practise. Another impossible question, but as I was talking about Lissa Evans’ Crooked Heart today, I’m going to pick young Noel, the 10-year-old evacuee who is the subject of this terrific novel. I recommend it to everyone. A morning’s detectoring with Mackenzie Crook and Toby Jones. We would find treasure and do the gold dance. I was once tasked with ringing Liz Hurley’s mum to get a reaction to the news that Hugh Grant had been arrested in Los Angeles for ‘lewd conduct’. I was working as a reporter on a local paper in Hampshire at the time, and Liz’s mum was in our contacts book (from happier times). It turned out she had no idea about Hugh’s misdemeanour – this was 1995 and news didn’t spread so fast – so I had to spell it out. Mortifying. Unsurprisingly, she put the phone down. 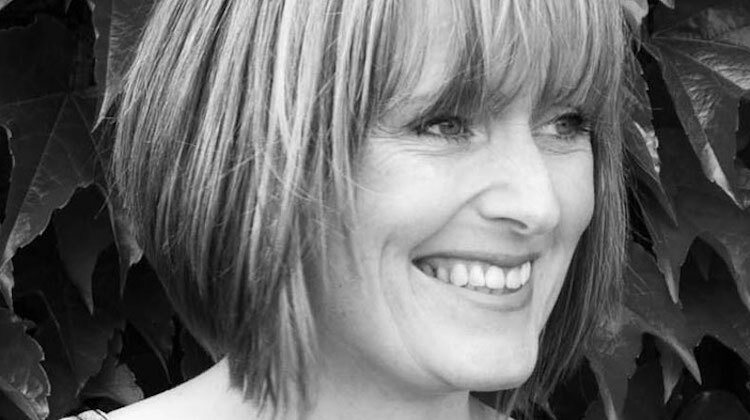 Find out more about Juliet and her work on her website. The Faithful is out in paperback on 26 July 2018. Read our review here.